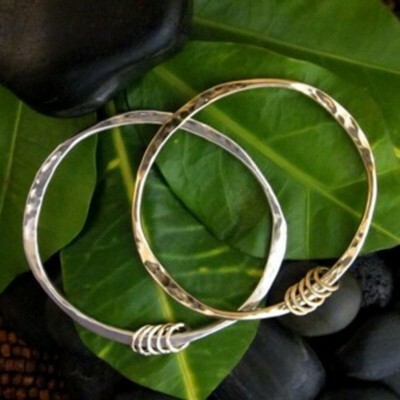 Organic and hand wrought. 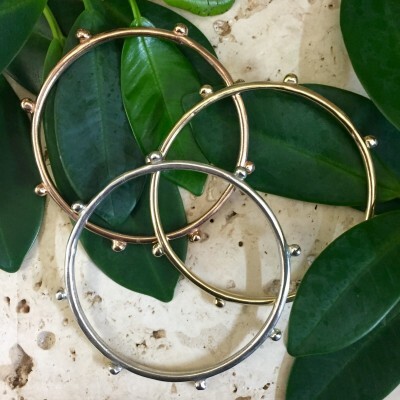 There is no such thing as too many bangles! 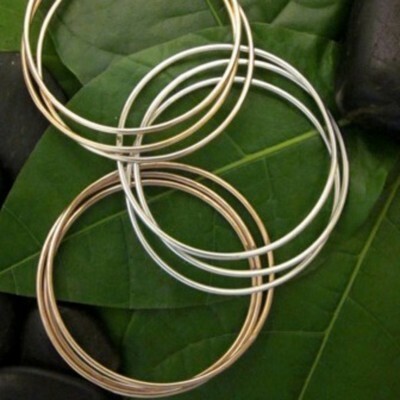 The Solid Organic bangle can accommodate most wrists, and we offer it in a 7 1/2 or 8. If you need a different size please specify when you order, or email us. 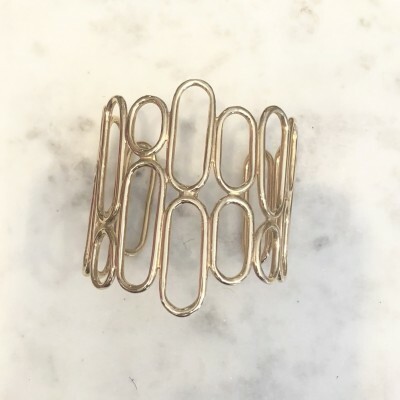 Remember the bangle needs to fit tightly over your hand to wear comfortably around your wrist. 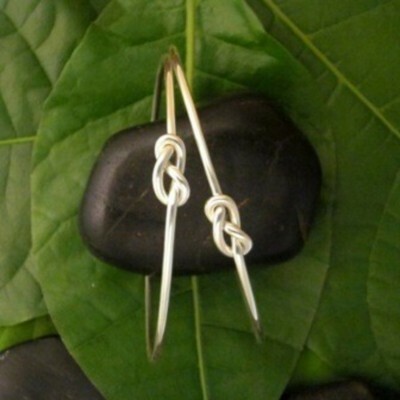 Available in sterling silver and 14kt gold. After saving your customized product, remember to add it to your jewelry box.